The mother church of country music. The oldest, continuing radio show broadcast in the United States. It wasn't the first. But it has outlasted most if not all to become the most recognized live weekly radio broadcast show. 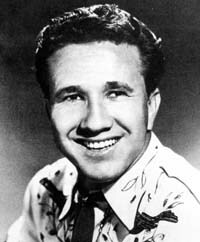 The beginning of the show trace its roots back to the Solemn Old Judge, George D. Hay. 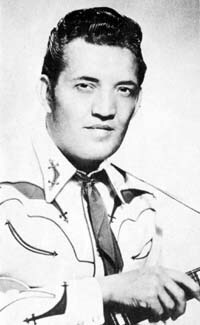 He was no stranger to the live barn dance type radio shows. 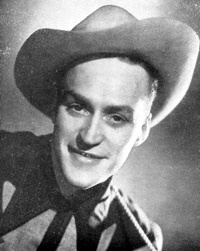 He was hired away from WLS in Chicago where he had started what became known as the WLS National Barn Dance show which became one of the longest running shows itself. 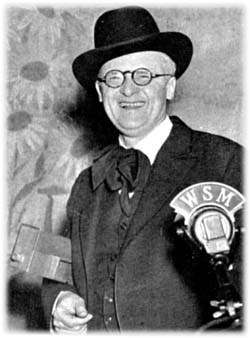 Mr. Hay came to Nashville on October 5, 1925 for the dedication of the inauguration of radio station WSM. One month later, he had joined the station itself. The Solemn Old Judge had a keen sense of what his listening audience would enjoy. 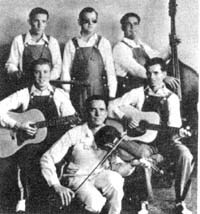 At 8:00pm on November 28, 1925 he launched what was first called the "WSM Barn Dance", and the show began with George D. Hay and Uncle Jimmy Thompson, an eighty-year old fiddler who could fiddle the "taters off teh vine" as the entire cast. 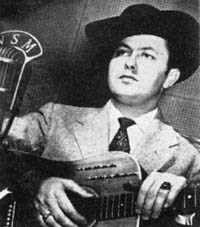 Uncle Jimmy claimed to have known a thousand tunes. 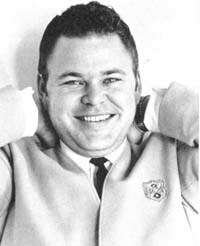 Mr. hay asked the listening audiences if they had any requests and soon the telegrams came pouring into WSM. Uncle Jimmy was on for an hour and Mr. Hay asked him if he had fiddled enough. Uncle Jimmy replied, "Why shucks, a man don't get warmed up in an hour." He boasted that he had just won an eight day fiddling contest in Dallas, Texas. Uncle Jimmy was accompanied by Mrs. Eva Thompson Jones on piano. Could you imagine such a show starting in this day and age with all the demographic studies and everything else that goes along with that before station managers put a show on the air? Back then, the Solemn Old Judge used his instincts to provide entertainment he thought his listening audience would enjoy. Soon, the popularity of the show began to grow. Folks would be allowed to come to the studios and listen to the show and be a part of the broadcast. But soon, they outgrew their home. 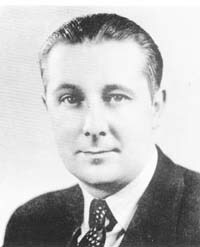 Around that time, Edwin W. Craig, an official of the National Life Company suggested that the construction of a new studio be done, and thus, Studio C was built, capable of holding an audience of 500. But it soon became apparent that the studio wasn't going to be enough. A search for a new home began and soon they found the Hillsboro Theatre, whidch was a former movie house in what was then the southwest part of the city. But the audiences continued to grow. They just couldn't get enough of good ole hillbilly music. There was a huge tabernacle across the Cumberland River in East Nashville that became available. The floor was said to be covered in sawdust and had splintery benches, but the audiences outgrew this location, too in about two years. 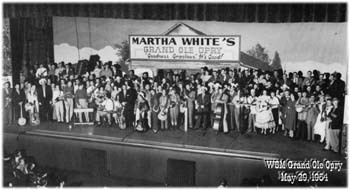 In July 1939, they moved to the War Memorial Auditorium and at that time they decided to charge an admission fee of 25 cents to hopefully curb the size of the audience. But it wasn't to be. The weekly crowds average over 3,000 folks. 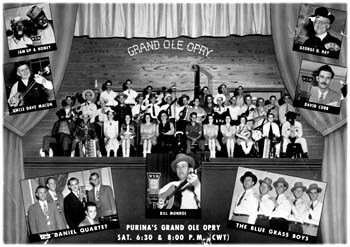 Finally, in 1943, the Opry moved to the Ryman Auditorium out of necessity. The Ryman had been built in 1891 as the legend goes, by a riverboat captain by the name of Tom Ryman. He came to a religious tent meeting to heckle a preacher, but instead stayed and converted his life. He then built the structure for the Reverend Sam Jones. Because there was a Confederate Veterans reunion in 1897, a balcony was added for the meeting to the auditorium. 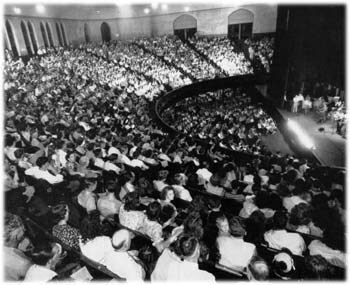 By then, the Ryman could seat some 3,000 people. And there the Opry stayed until March 16, 1974 when the new Opryland complex opened. But still, the Ryman Auditorium kept its place in history. On occasion, the Opry moves its shows to the Ryman to keep in touch with its historical base. Shows are still held there. Fans can also take tours of the home of Country Music as some will call it. This author can remember visiting the old Ryman Auditorium in the heat of a summer with his family. People were lined up outside the auditorium, waiting for their turn to attend the show. Hand fans were being sold by little kids in the streets, surely no one would want to not get one as the heat was stifling. In the street, one could hear the music being played over the loudspeakers at a nearby record store. We can remember Charley Pride's latest tune being played then - a song from a cut of his Tenth Album, "Able Bodied Man"; yes, we remember trivial details. Through the years, we made several pilgrages to visit the show, with a college roommate, with family or alone. If you go to Nashville, you make a point to attend WSM's Grand Ole Opry.